In London in the 1950s, Soros was a student of the expatriated Austrian philosopher Karl Popper, who championed the notion of an “open society,” in which individual liberty, pluralism and free inquiry prevailed. Popper’s concept became Soros’s cause. In his annual state-of-the-world speech in Davos this year, Soros said Trump “would like to establish a mafia state, but he can’t, because the Constitution, other institutions and a vibrant civil society won’t allow it.” He also characterized Trump as a “purely temporary phenomenon that will disappear in 2020, or even sooner,” and predicted a Democratic landslide in the 2018 midterm elections. Five months on, he was sticking by those predictions. “For every Trump follower who follows Trump through thick and thin, there is more than one Trump enemy who will be more intent, more determined,” Soros told me. He is doing his part to shorten the Trump era: In advance of the midterm elections, Soros has so far contributed at least $15 million to support Democratic candidates and causes. Soros is evil, influential, and utterly wrong. It's downright inspiring to feel the palpable sense of gloom emanating from the decrepit old monster. STILL NOT TIRED! And it's going to be beautiful to witness the shock and horror that radiates from Soros and the other globalists when they belatedly realize that there isn't going to be any Democratic landslide later this year, and that the God-Emperor is going to shatter the back of the Deep State they have so carefully established once and for all. Now, who does this sound like? A non-ideological opponent of the extreme Left and the nationalist Right? When I asked Soros to describe himself ideologically, he laughed. “My ideology is nonideological,” he said. “I’m in the club of nonclubs.” When I suggested that “center-left” might characterize his views, he demurred; he said it wasn’t clear where he stood now because the left had moved further left, a development that did not please him. “I’m opposed to the extreme left,” he said. And what are his core motives? Every single time. 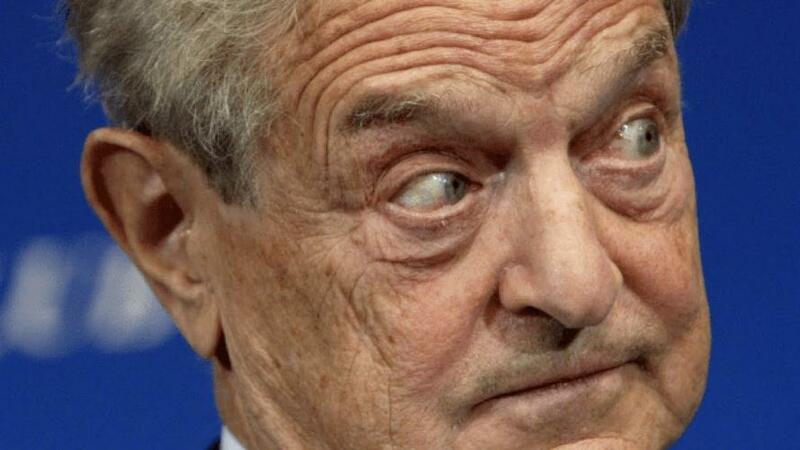 George Soros has spent his adult life trying to adulterate every single nation on Earth - including Israel - so that he can feel comfortable living wherever he wants. The converse of this is that every single nation will only be free to order its society to its own preferences when it doesn't permit anyone like George or Alex Soros to live in it or fund organizations that operate inside it. Viktor Orban clearly understands this; the God-Emperor and the Neo-Tsar should follow his example and outlaw all Soros-funded organizations and activities.